Makeup is Delicious!! : OOTD: Cozy Sweater & Pretty Floral Skirt! 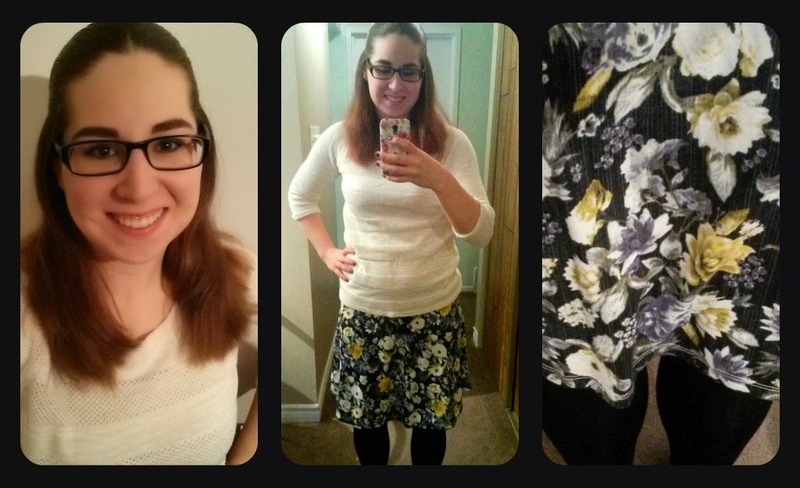 OOTD: Cozy Sweater & Pretty Floral Skirt! Hello loves! I am a huge fan of wearing sweaters with skirts during the fall and winter. Here is today's outfit: an off-white sweater with a floral skirt. The sweater has a cable kinda pattern to it so I'm wearing a tank top underneath.